Svaren Benson Penthouse from Joshua Svaren on Vimeo. Portland Housing Center is teaming up with Wells Fargo and NeighborWorks America to offer $15,000 in down payment assistance to income qualified households! We wanted to let you know about this great opportunity so you can share it with your clients. NeighborhoodLIFT provides eligible borrowers with a $15,000 forgivable loan that can be used for down payment on homes in the City of Portland. Be sure to check out the flyer for all the details. Unlike many available down payment assistance programs the NeighborhoodLIFT program is available to households up to 120% of the Median Family Incomedepending on financing type*. Don't let your clients miss out on this great opportunity! At the event they'll have an opportunity to meet with someone to determine their eligibility for the NeighborhoodLIFT down payment assistance program and learn next steps if they receive a reservation. Have questions? Check out FAQs on our website. 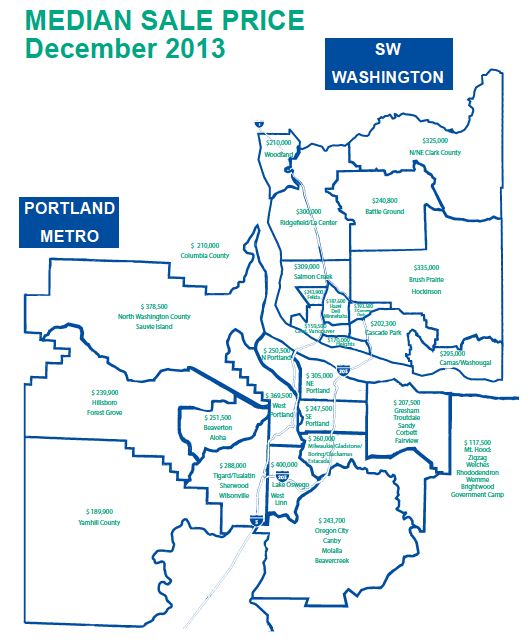 If you would like to schedule a information session on the NeighborhoodLIFT program at your Realtor office please contact me at feliciat@portlandhousingcenter.org or 503-797-4023 to schedule. Refinish the front door. First impressions do mean a lot, and a front door in need of work sets the wrong tone. Refinishing your front door doesn't usually take much effort. If it is painted, be sure to rough up the surface prior to putting on a new coat of paint. If it is stained, use a very fine grade of sandpaper to ensure the sealer will adhere to the surface. While you are preparing the door for the finishing coat, be sure to check the weather stripping for damage. With soaring energy costs, adding some new weather stripping can quickly pay for itself in utility savings. And start the job early in the morning so the surface dries before you have to close the door for the evening. 10 Oregon 5K Runs infographic by VisualApogee.